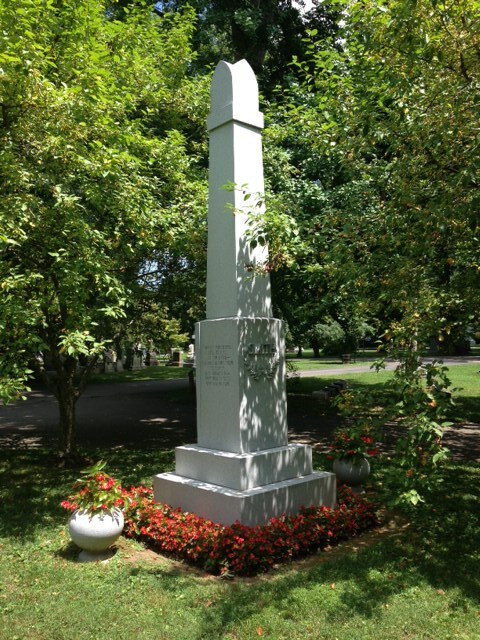 Who are the Bond brothers buried right next to my sons Drew and Jeremiah in the Lexington Cemetery in Lexington, KY? Their names are Thomas Waters Bond, the older brother to Frank Benson Bond. Why are they buried alone and not with their parents or other relatives? Honestly I do not remember when I first noticed the graves of Thomas and Frank. It may have been that first dark year when Luther and I wandered aimlessly there every Thursday. 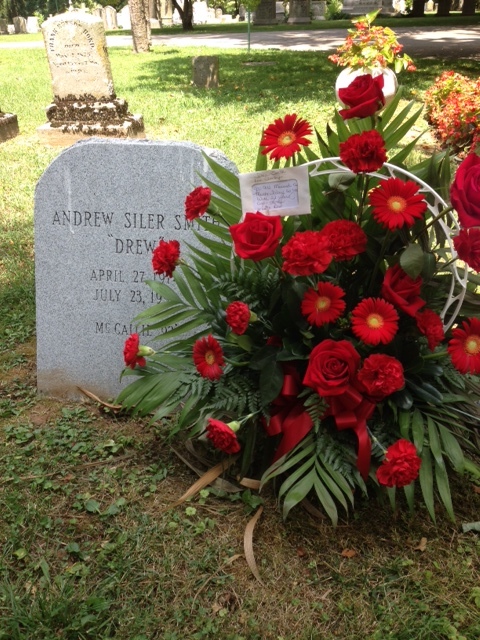 It may have been a year or two later when visiting the graves of Drew and Jeremiah was not as painful and I was able to look beyond their graves to see those two solitary headstones. I do know that when I did notice them, I was never the same. 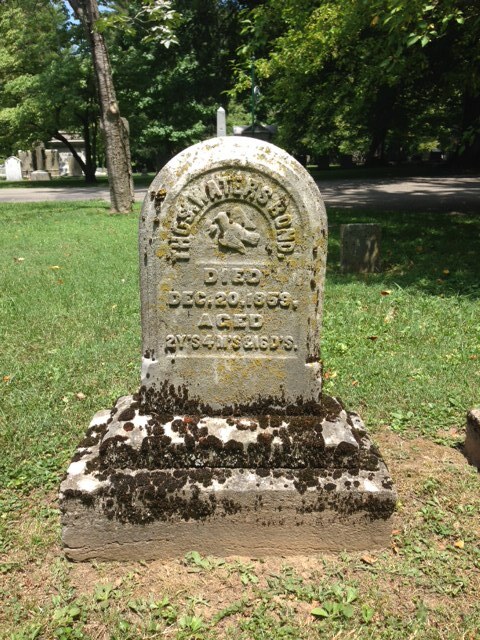 Thomas Waters Bond died On December 20, 1859 at age 2 years, 4 months and 16 days. That would make his birthday sometime around August 4, 1857. 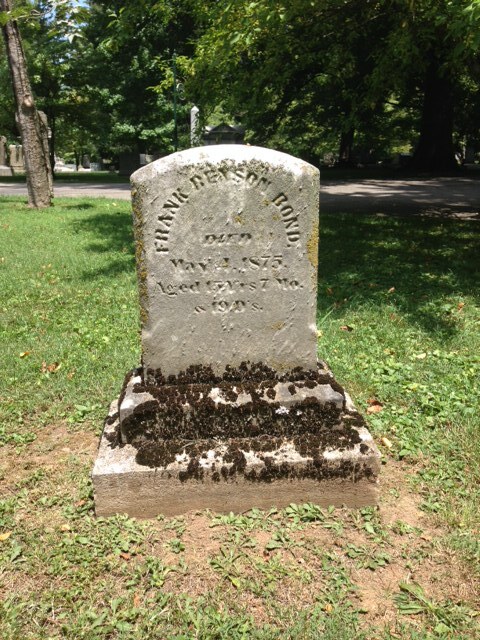 Frank Benson Bond died on May 4, 1875 at age 15 years, 7 months and 19 days. His birthday would be close to October 16, 1859. Frank was born into the Bond family about two months before his older brother Thomas died in 1859. Tomorrow is July 23rd, 2014. What is the significance of the number twenty-two with respect to tomorrow’s date. Those of you who know me well know the answer…it has been twenty-two years ago tomorrow that my sons Drew and Jeremiah passed from this physical world into the spiritual world. At this time twenty-two years ago, Drew and Jeremiah were alive and well. They were in Indianapolis at the concert they had longed to attend for months. It’s now 9:46 pm. Who was performing twenty-two years ago at this very moment? 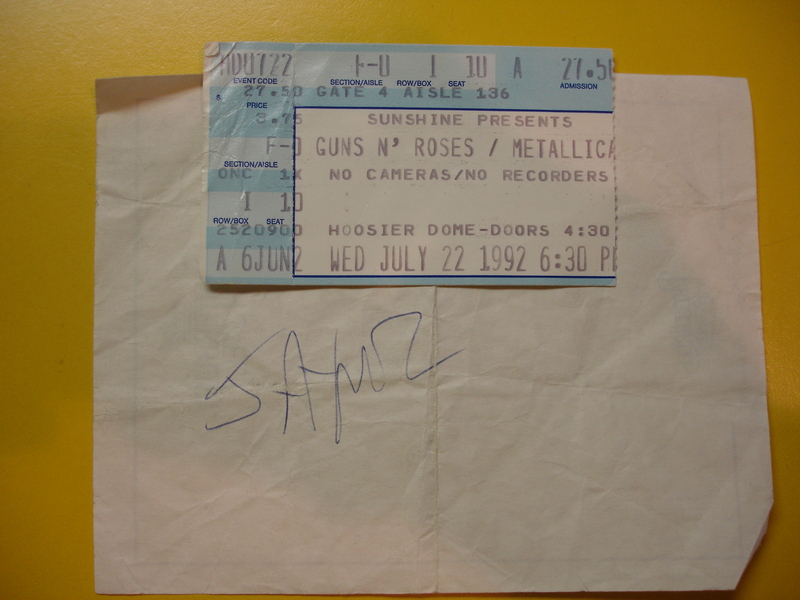 Was it Metallic or Faith No More, one of the two acts on that night prior to Guns n Roses. The boys had great seats and were living their dream of being together at the concert of the year. Were they thinking of the three of us left at home? I seriously doubt it. Our family has always loved music and going to concerts. They were in their element. They were waiting for Guns n Roses to hit the stage. I have no idea when the concert was finally over. All I know for certain is that Drew called us at 2 AM and made the statement that has lived with me for the past twenty-two years. He said, “Mom, we’ve had the greatest night of our lives.” How prophetic was that statement? Knowing their last night was the greatest night of their lives has carried me day after day, night after night. It carries me tonight as I sit here reliving that last night again. 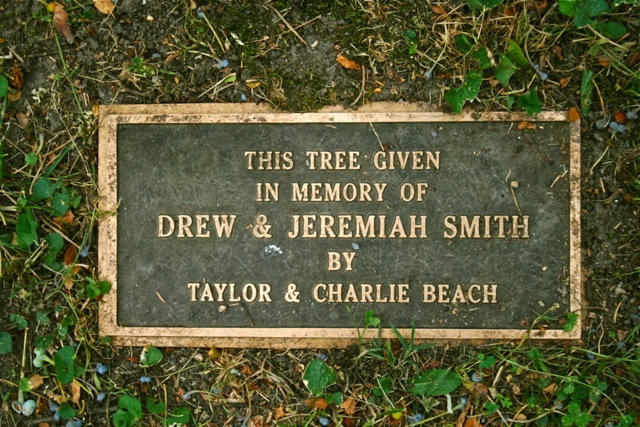 Drew and Jeremiah, you have not left our lives. Your Dad, your brother Jordan and I have not forgotten the love and light you brought to our lives. 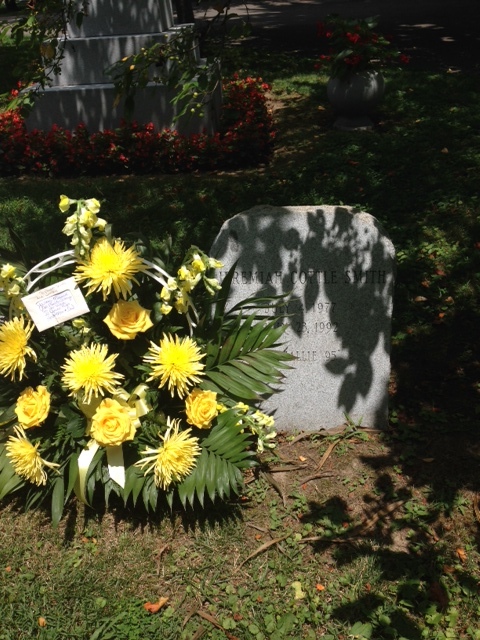 We miss you as much today as we did twenty-two years ago. We are closer to you each day…..